On 6 December 2017, the University of Bristol’s Thatcher’s Pension Reforms research project in association with the Institute and Faculty of Actuaries held a very well-attended ‘witness seminar’ in front of an invited audience at Staple Inn, London at which Sir Nicholas Montagu, Chris Daykin, Sir Adam Ridley and Marshall Field discussed the the Fowler Inquiry into Provision for Retirement and its relationship to the Conservative government’s landmark reforms to British pensions in 1986. The session was chaired by Gregg McClymont, introduced by Colin Wilson, the immediate past President of the IFoA, and began with a paper by Professor Hugh Pemberton (University of Bristol). A video of the evening’s proceedings is available (the seminar begins 20 minutes in, after the introductory paper, and the subsequent question and answer session begins 1hr and 22.5 minutes in. A full transcript of the witness seminar and the subsequent question and answer session is also available. You can also read the text of Hugh Pemberton’s introductory paper. This entry was posted in Uncategorized and tagged Events, Fowler Inquiry on 11th February 2019 by Hugh Pemberton. 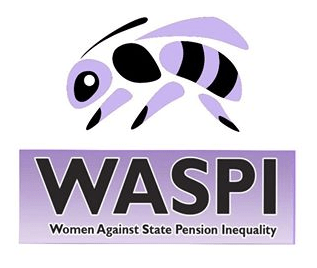 Women Against State Pensions Inequality (‘WASPI’) are using the general election to wage a very successful campaign pressuring candidates to sign the ‘WASPI pledge’ to support compensation for women born in the 1950s who find that their state pension age is not 60, as many had expected. But though WASPI complains about the short notice of the increase in pension age for this generation of women, it has been a long time in the making. Hugh Pemberton has written a background piece for the History and Policy website which traces the long history of equalisation. 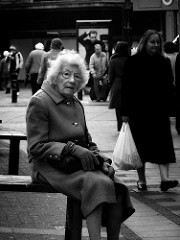 That history goes back to the late-1970s (when Barbara Castle was put off by the staggering cost of equalising downwards to age 60) and the early-80 (when Margaret Thatcher was warned that it was an awful lot easier to give a benefit to someone than to take it away). Legislation finally came in 1995, but history indicates that it was both understood as a step towards gender equality and much more publicly discussed than WASPI alleges. This entry was posted in Pension history on 7th June 2017 by Hugh Pemberton. We are pleased to report that Josephine Cumbo, Pensions correspondent of the Financial Times, has joined the advisory board of the Thatcher’s Pension Reforms project. In 2015 Josephine was the Society of Pensions Professional’s ‘journalist of the year’ for the second year in succession and also won the ‘Personal Finance Education Award’ at the 2015 Santander Personal Finance Media awards (for her investigations into the lack of transparency in the drawdown market — the fastest growing area of the market following April’s pensions freedoms — plus her campaigning work on inequalities in the new state pension). She was also awarded ‘Financial Journalist of the Year’ and ‘Personal Finance Journalist of the Year’ by the Association of British Insurers in 2014 and 2012 respectively. In addition to reporting, Josephine is also involved in the FT pension plan’s governance committee as a member representative. This entry was posted in Uncategorized on 23rd February 2016 by Hugh Pemberton. Portable personal pensions embodied an assault not just on the State Earnings Related Pension (SERPS) but on occupational schemes and insurers. Occupational pensions had traditionally been viewed with approval by Conservatives but were viewed by the ‘new right’ as paternalistic and antithetical to individual freedom. The actuarial profession was highly concerned about the government’s proposals to abolish SERPS – warning that the public lacked the necessary financial planning skills and would be at risk of misselling. The actuarial profession resented the way in which its views were ignored. The Government Actuary’s Department was pushed to the limit of its preparedness to cooperate in the process of change, often disagreeing with the assumptions on which it was asked to make projections. More details can be found in AHRC TPR Project Briefing Note 3. This entry was posted in Uncategorized on 29th January 2016 by Hugh Pemberton. In September, and with great sorrow, we said goodbye to Professor Roger Middleton, the project’s co-investigator, as a result of his retirement. We are pleased to report that the Arts and Humanities Research Council has confirmed the appointment of Dr James Freeman as his replacement. James is Lecturer in Digital Humanities in the Department of History at the University of Bristol. He brings to the project his expertise in the changing nature of political rhetoric in postwar Britain and his skills in data analysis and visualisation. This change in personnel has also led to an adjustment of the project’s end date – which is now scheduled for the end of July 2018. This entry was posted in Announcements on 28th January 2016 by Hugh Pemberton. An extended version of our post on the lessons of pensions history in general, and the lesson of the Thatcherite reforms of the 1980s in particular, for the Treasury’s consultation on pension tax reform has been posted on the LSE British Politics & Policy blog. This entry was posted in Uncategorized on 8th October 2015 by Hugh Pemberton. ‘Thatcher’s Pension Reforms and their Consequences’, an AHRC’s research project, is very pleased to announce that Gregg McClymont, formerly Labour’s shadow pension minister from 2011-15, has joined its advisory board. Gregg is head of retirement savings at Aberdeen Asset Management, a role that encompasses defined contribution pensions strategy, research and implementation. Before taking up that role he was Labour MP for Cumbernauld, Kilsyth and Kirkintilloch East from 2010 to 2015 . He is also a modern British historian, having taken his PhD and taught at the University of Oxford and written a number of publications in the field. This entry was posted in Announcements on 21st September 2015 by Hugh Pemberton.